Google prepared Wednesday to be hit with huge EU fine for freezing out rivals of its Android mobile phone system in a ruling that could spark new tensions between Brussels and Washington. 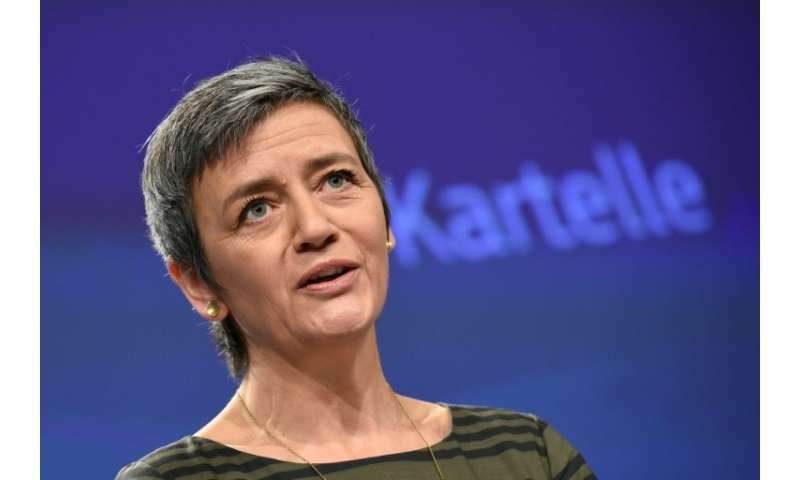 EU Competition Commissioner Margrethe Vestager spoke by telephone with Google chief Sundar Pichai on Tuesday night to tell him about the decision in advance, a source close to the matter told AFP. Vestager is expected to announce that Google abused its dominant position in the market by making tie-ups with phone makers like South Korea's Samsung and China's Huawei. Two European sources told AFP the fine would be "several billion euros" without giving further details. EU rules say Google could be fined up to 10 percent of parent company Alphabet's annual revenue, which hit $110.9 billion in 2017. "The fine is based on the length of the infraction, but also on whether antitrust authorities believe there was an intention to commit the offence, and whether they excluded competitors or not," said another source close to the matter. Denmark's Vestager has targeted a series of Silicon Valley giants in her four years as the 28-nation European Union's antitrust chief, winning praise in Europe but angering Washington. Google Search and Chrome are as a result pre-installed on the "significant majority" of devices sold in the EU, the commission says. 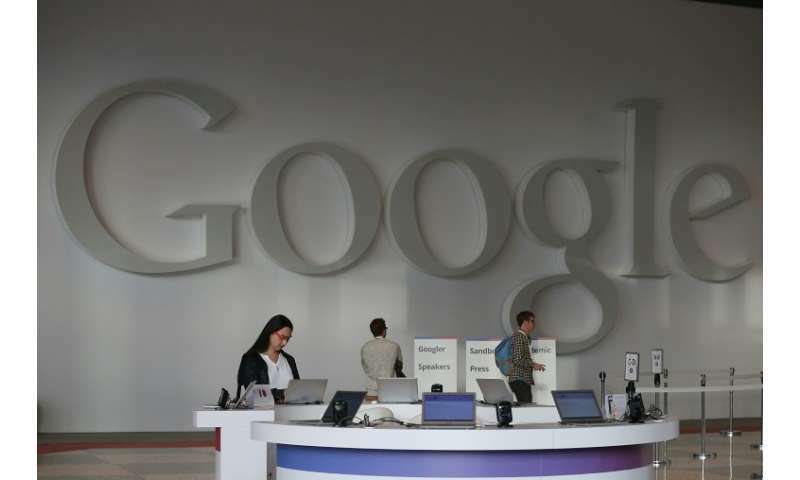 Google also gave "financial incentives" to manufacturers and mobile network operators if they pre-installed Google Search on their devices, the commission said. Vestager's other scalps include Amazon and Apple. The EU's biggest ever punishment targeted Apple in 2016 when it ordered the iconic maker of iPhones and iPads to pay Ireland 13 billion euros ($16 billion) in back taxes that it had avoided by a tax deal with Dublin. The EU has also taken on Facebook over privacy issues after it admitted that millions of users may have had their data hijacked by British consultancy firm Cambridge Analytica, which was working for Trump's 2016 election campaign. Transatlantic tensions are also high after Trump berated NATO allies over defence spending at a summit last week, over his summit with Russian leader Vladimir Putin, and over the US president's pull-out from the Iran nuclear agreement and Paris climate deal. I want to uninstall the Chrome browser to free up some space on my phone, but since it's installed as some sort of "system component" and all the warning bells go off when I try to, I'm not sure if I can. Likewise, I would like for Google to stop asking me to take photos of every damn shop I visit. In fact I'd like them to stop tracking me to the shop in the first place - none of their business where I buy my stuff. I don't even use Google's navigation(Maps), and still it keeps bugging me every time I turn on the GPS. This is like Microsoft and IE all over again, except this time they're also blatantly spying on you, because what can you do? Not use the damn phone? Damn right they should be fined for billions and made to stop doing that. Really? I have an android phone and don't have any of those problems. Sounds like user error to me. Try going through your various programs and turn off stuff that advertises to you. I've never had google ask me to take a picture of anything.